Cathy lives in White House with her husband and 3 children. She practiced as a registered nurse approximately 7 years at Vanderbilt Children's Hospital prior to obtaining her MSN. She spent the last 3 years practicing as a Family Nurse Practitioner at The Little Clinic in White House. She enjoys exercising, outdoor activities, and spending time with her family. 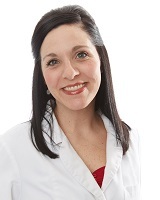 She is excited to be a part of the Sumner Medical Group team and looks forward to meeting and taking care of you.